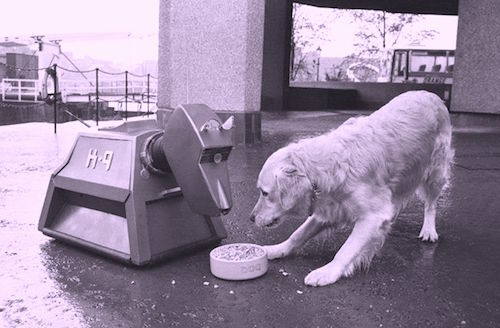 K9, with his first wife. "I love K-9! I nearly put him in Last Christmas. I had a whole scene where the Doctor was pointing out how ludicrous Santa Claus is, having a reindeer with a glowing nose and so on... and then in comes K-9. Completely daft, but he's brilliant. I'm totally up for K-9 when we have the right idea." "I thought I'd be gone by now, to be honest. I thought I would get tired by it, and of it. But I haven't. If anything, I think I cope with the stress and fatigue better than I used to. So I take it a year at a time. But they might decide that they've had enough of me and kick me out!" Steven also goes on to describe Clara's exit in Doctor Who Series 9 as "traumatic" and does not rule out a return for the Mondasian Cybermen, stating it's not "impossible". The full interview can be read in the current issue of TV & Satellite Week, on sale now.